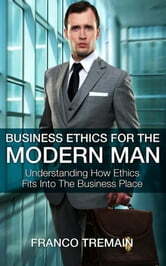 "Business Ethics For The Modern Man" helps to give the layman an overview of exactly what practices a company should be following in addition to what is mandated by government laws. The running of a company, big or a small is no easy feat and if the company is not careful, it can lose a lot of business or even have to close based on its practices. What this book does is to highlight to the prospective business owner and also to the consumer at large, the practices that a well operated and ethical company should have. It also highlights the various difficulties that a company can have while trying to maintain these practices. The text is a great source of information for those who are studying business as well as it breaks down what the principles of business ethics are and gives great examples that can be applied to real world situations.